The future of African biodiversity, and thus the very survival and well-being of the continent’s population, rests in the hands of a new generation of local conservationists, scientists, experts, and educators. No amount of external influence and prowess will ever match the effectiveness of personal engagement and dedication of Mozambican stakeholders to ensure the revival and long-term sustenance of Gorongosa National Park and other protected areas in Mozambique. The E.O. 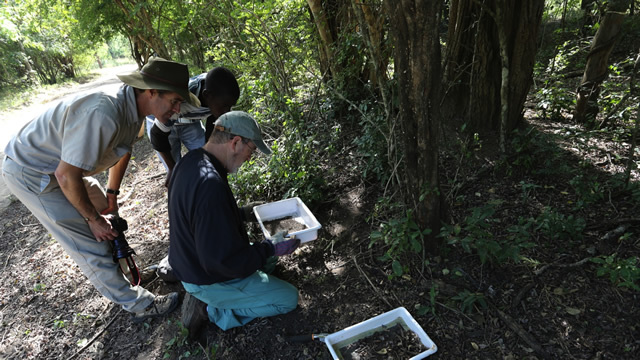 Wilson Biodiversity Laboratory at Gorongosa National Park offers a wide range of educational opportunities to Mozambican students and researchers. These include supervising day-to-day operations of the E.O. Wilson Biodiversity Laboratory, participation in biological surveys, and being part of a variety of long-term research projects in the Gorongosa National Park. 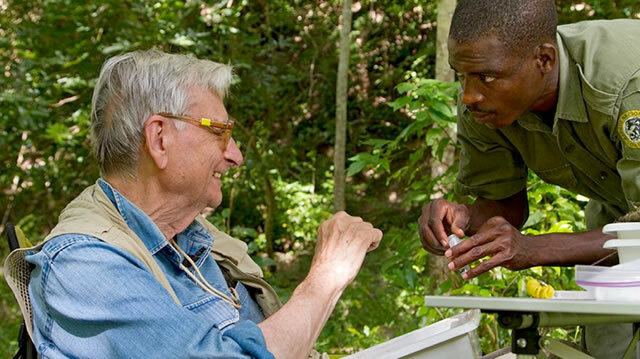 We organize workshops, training courses and lectures, designed to teach Mozambican students and researchers the most current theory and practice of biodiversity conservation, data management, species identification, and foundations of biological research. 1. Short lecture series—We organize short, 7-14 days courses of lectures, which cover relatively specialized topics, delivered by leading researchers in the field. These include topics such as “Principles of herbivore ecology,” “Invertebrate conservation,” “Pollination biology,” “Mammals of Mozambique,” etc. 2. Workshops—These combine short lecture series with hands-on experience, using the facilities of the E.O. Wilson Biodiversity Laboratory and field research within the Park. Examples of such workshops include “Introduction to herpetofauna of Mozambique,” “Identification of vascular plants of Gorongosa,” “Methods of mammal conservation monitoring,” “Theory and practice of biological collections,” “Biological data management,” etc. 3. Research participation—We offer Mozambican students and researchers the opportunity to participate in scientific projects conducted by visiting international scientists, and develop their own projects under their guidance. Students are able to assist Gorongosa researchers in the field, learn the theoretical and practical aspects of designing a successful research project, collect and analyze data, and prepare a scientific publication. An important element of this educational approach is the chance to network with international scientists, which will certainly lead to more educational opportunities and further collaborative projects. In addition to the educational program aimed at current and future Mozambican scientists, the E.O. Wilson Biodiversity Laboratory is directly involved in improving the training and expertise of the Park’s rangers and natural history guides. One of the cornerstones of a successful ecotourism operation is the presence of knowledgeable, highly motivated personnel who interact with the visitors and provide high quality interpretation of the Park’s biodiversity. We create synergistic opportunities for the guides and rangers to participate in the scientific activity of the E.O. Wilson Biodiversity Laboratory, and expand their knowledge of the ecology and diversity of Gorongosa. The E.O. Wilson Biodiversity Laboratory’s specialized educational program is complemented by the outreach activities developed at the Gorongosa Community Education Center, where local children and community members learn about conservation and the preservation of the environment, and the economic benefits of conserving Gorongosa’s magnificent natural resources. Together, we offer a rich curriculum of educational opportunities to all stakeholders of Gorongosa and Mozambique in general. Young Scientists of Gorongosa – Norina Vicente from Gorongosa National Park on Vimeo.